Chai Spiced Apple Cider combines the fall flavor of apple cider with the spices and tealeaves associated with masala chai (also known as "chai tea"). Looking for a drink that combines the wintertime comfort of mulled apple cider and the bold flavor of masala chai? 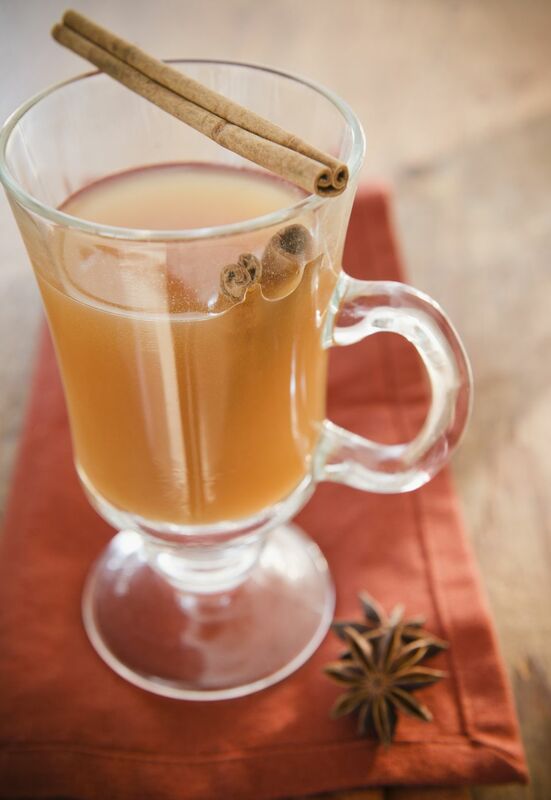 This delightful Chai Spiced Apple Cider recipe from Stephanie Knight of Pangea Tea Company is just what you need. It combines the warming whole spices of traditional masala chai with the sweet, comforting flavor of apple cider for a wonderfully wintery taste. For me, it is an ideal blend of apple cider and chai in one beverage. Using a mortar and pestle, lightly crush the allspice, cloves, cardamom pods, cinnamon and ginger. In a small saucepan, add the apple cider, crushed spices, vanilla bean and sliced apples. Bring the mixture to a boil and then remove the pan from heat. Return the spiced cider to a boil, then remove from heat. Add the tea and almond milk. Cover and let steep for 4 minutes. Stir well, and then strain into a teapot.